Do you want to save our main post office? 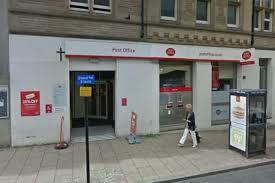 As WH Smith continues its programme to amalgamate post offices within its branches, it has been confirmed that the town centre post office in Harrogate is marked for closure. The plan is to relocate the post office within the WH Smith store in Cambridge Street. This move comes at a time when the future of the post office in Cold Bath Road is also in doubt. To read more about this, please see our ‘Have Your Say’ page, which includes an article from the Harrogate Advertiser. Make sure you participate in the consultation. This entry was posted in Consultations and tagged Post office closure, WH Smith on November 25, 2018 by admin.